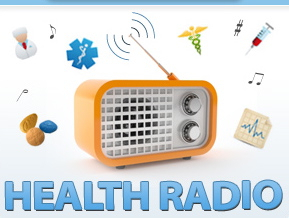 Director of Marketing at Beyond Coastal Suncare Tom Ferries joins the program. Eric Michaels: What should I look for when buying a sunscreen? Tom Ferries: The most important words on a sunscreen label are "Broad Spectrum UVA/UVB Protection". This means the sunscreen will protect you from immediate damage (sunburn) caused by UVB rays and from long-term damage (premature aging, wrinkles, some skin cancers) caused by UVA rays. UVB protection is measured by SPF, but there is no official marker to declare UVA protection. Many sunscreen labels falsely declare "Broad Spectrum UVA/UVB Protection," so how can you be sure? To verify the "Broad Spectrum" claim, look for the active ingredients zinc oxide, titanium dioxide, or Avobenzone, which are the only three ingredients that ensure UVA protection. Look for an SPF of 15 or 30. Make sure harmful chemicals are absent, such as Oxybenzone and parabens. Check for the addition of healthy inactive ingredients, like aloe vera, vitamin E and antioxidants. Eric Michaels: What is the difference between Beyond Coastal's Active and Natural lines? Tom Ferries: Beyond Coastal's Active (traditional) sunscreens absorb into the skin and rub in easy and clear. Our Active line is a sport sunscreen that protects with Avobenzone, the healthiest choice in non-mineral protection. Our proprietary ingredient AvoSol adds Solistay to Avobenzone, which stabilizes the active ingredient, adding to your time in the sun. Beyond Coastal's Natural (mineral) sunscreens use Zinc Oxide to create a physical block that does not absorb into the skin. It can leave a white residue and is more difficult to rub on. Try our Natural Clear SPF 30 sunscreen for a natural sunscreen that rubs on clear and easy with no white residue. Our natural sunscreens are chemical-free which makes them best for very sensitive skin and for children. All of our sunscreens are free of oxybenzone, petroleum, Vitamin A, and parabens. They are all non-greasy, water-resistant, and fragrance-free. 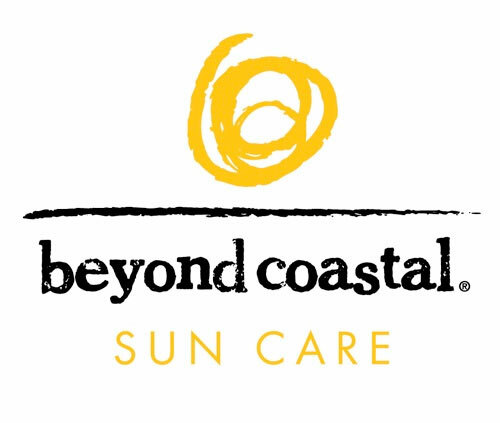 Eric Michaels: Why does Beyond Coastal not make an SPF 50 or 100 sunscreen? Tom Ferries: High SPF sunscreens suggest a false sense of protection. The SPF, or Sun Protection Factor, measures the sunscreen's effectiveness against UVB rays. There are two reasons Beyond Coastal offers only SPF 15 and 30. The first reason: the added protection provided by SPF 50 or 100 sunscreens is insignificant, yet the concentration of potentially harmful active chemicals is much higher. To put it simply: UVB Protection: SPF 15= 93% SPF 30= 97% SPF 50= 98% SPF 100= 99%. The second reason: a high SPF offer a false sense of protection, so people stay out in the sun longer and reapply less frequently. They might also apply a lighter coat, which dramatically cuts the potency of the SPF rating. It is best to apply the correct amount of an SPF 15 or SPF 30 sunscreen frequently throughout the day. Eric Michaels: Can sunscreen help prevent skin cancer? Tom Ferries: Sunscreen dramatically decreases the effects of cancer-causing UV rays on the skin. Skin cancer is the most common cancer in the United States, accounting for nearly half of all cancer cases. Both UVA and UVB rays contribute to skin cancer, so be sure to use a sunscreen with broad spectrum protection. Eric Michaels: What is the proper way to apply sunscreen? Tom Ferries: Non-mineral sunscreens (our Active line sunscreens) should be applied 30 minutes before going in the sun to give it time to absorb into the skin. Reapply every two hours, or more often if going in and out of the water or sweating a lot. People typically do not apply enough sunscreen to their bodies, which lessens their effectiveness. We recommend applying one ounce (the volume of a standard shot glass) evenly to the entire body. Be sure to remember highly exposed areas like the ears, lips, feet, hands and neck. These areas burn easily and are often neglected. If possible limit your sun exposure between the hours of 10am to 4pm. UVA and UVB rays are most intense when your shadow is shorter. Keep in mind that snow, water and sand reflect UV rays intensifying your exposure. Apply your sunscreen generously - 2 tablespoons, 1 oz. or a shot glass of sunscreen for the whole body. Apply it 30 minutes before going into the sun. This allows the sunscreen to absorb into the skin. Re-apply sunscreen often, at least every 2 hours, more if sweating or in and out of the water. Don't forget to apply sunscreen to highly exposed areas like your ears, lips, feet, hand and neck. These spots are often neglected and can burn easily. Beyond Coastal’s Natural SPF 30 Sunscreen. Natural and Active Lip Balm. Natural Lip and Face Screen.